Have you considered adult day health care for yourself or a loved one? #1. It creates a daily routine. Routines are important for everyone, no matter how old you are. But, often times, after you retire from your job, and you no longer have to get dinner on the table for your family at a certain time, those routines start to slip away. Routines help to create a sense of safety and stability because they provide a basis for what to expect in the future. Another big reason why routines are so vital is that they help with sleep quality. This is especially important for people suffering from dementia, as it can lower their quality of sleep at night. ADHC programs provide older people with a set daily routine. #2. It provides health monitoring. When you’re caring for your elderly loved one, it’s not always easy to recognize the signs that something isn’t quite right with their health, or that they may need additional interventions. When professional caregivers spend time with your loved one on a regular basis, they’ll be able to inform you of any changes they see in your loved one’s health. There are also medical model ADHC facilities that provide medical monitoring to those who have health conditions. Some of these facilities even provide speech, occupational and physical therapy. #3. It provides social interaction. Isolation is a huge problem among the older populations throughout the United States. Did you know that there are 11 million people living alone in the United States, 28 percent of whom are 65 or older? The older you get, the higher your chances of living alone become. Although living alone in itself doesn’t cause social isolation among people who participate in active social lives, it can be a precursor for social isolation, particularly for people who don’t have their own transportation. Social isolation can lead to a host of other problems — it can lead to depression, make seniors more vulnerable to elder abuse and even contributes to cognitive decline. If for no other reason, choose an ADHC program just to provide some much-needed social interaction for your loved one. These programs provide valuable, daily interactions for people who might otherwise go days or even weeks without even talking to someone else, and that’s not something to take lightly. #4. It provides safe, supervised physical activity. Regardless of whether you are 14 years old or 84 years old, you need to engage in physical activity every single day. This can be difficult for some older adults who may have limitations due to injuries or illnesses. For some, even going on a walk around the block alone is risky. But, luckily, ADHC programs provide physical activity that is both safe and supervised. This kind of activity is beneficial in so many different ways, from building muscle that helps to take the pressure off of sore joints to controlling weight and easing depression. #5. It helps to improve cognitive function. The brain is not a muscle, but you should think of it like one. Like every muscle in the human body, if you don’t use your brain, you’re going to start losing it. Too often, when people stop working and live by themselves, they no longer engage their brains, because they don’t really have to anymore. This is one of the reasons why social isolation can lead to cognitive decline. But, even something as simple as having a conversation can help to engage your brain. This is great news because research shows that cognitive decline can be prevented and you can actually help the brain become stronger when you “exercise” it. And, ADHC programs provide ample opportunity to exercise your brain, from conversations and singing to arts and crafts and games. #6. It helps to manage medications. Medications have revolutionized the way we live, and have allowed us to triumph over many diseases and conditions that have once made short, difficult lives commonplace. But, in order to enjoy the marvels of medication, it’s essential to stick with the regimen outlined by your doctor, and if you don’t, you put yourself at risk for ineffective treatment, dangerous medication interactions or even an overdose of medication. Unfortunately, medication mismanagement is common among older adults, and it leads to approximately 3 million nursing home admissions every year. Most ADHC programs offer medication management, which eliminates the risk of medication mismanagement and provides peace of mind that your loved one is getting the right doses of the right medication and on the right schedule. #7. It provides adequate nutrition. According to a Gallup Poll from 2014, the obesity rate among people who are 65 or older has risen to just over 27 percent, so you might be surprised to also learn that malnutrition is a major problem among seniors. It’s easy to see how malnutrition could happen, especially when it comes to people living alone without their own regular transportation, which significantly limits their access to food. Others may have physical limitations that make it difficult to cook, and some may have lost their appetite due to social isolation and depression. But, whatever the reason, malnutrition can cause a host of other issues for people of all ages, including muscle weakness, a weakened immune system and a poor ability to heal. ADHC programs are the answer for many people; they provide healthy, balanced and nutritious meals. #8. It’s cost-effective compared to other senior care options. 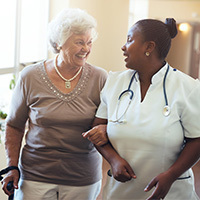 Compared to other senior care options, such as in-home care, assisted living care or skilled nursing care, ADHC programs are much, much more affordable. In fact, it’s typically at least 50 percent less expensive than home care is for a comparable number of hours. Nationwide, the average cost of these programs is $70 per day, but prices vary dramatically by state, from as low as $20 per day in Alabama to as high as $100 per day in Alaska. ADHC programs also vary in the payment options they’ll accept. Some are private pay only, while others will accept Medicaid, Veteran’s Administration benefits and state-run, non-Medicaid assistance programs. It’s also worth mentioning that, in lieu of payment assistance, the cost of an ADHC program is, in almost all cases, tax deductible; you can include it as a medical expense. Or, if you claim your loved one as a dependent, you can deduct the cost of an ADHC program under the Dependent Care Credit. #9. It helps to promote independence. 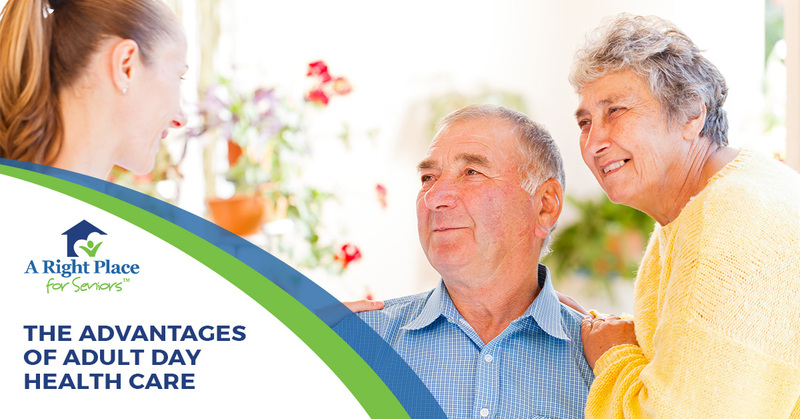 Many of the other benefits that we’ve covered of ADHC programs can contribute to you or your loved one’s independence. Physical activity, for example, will help to prevent illness and injury, particularly injuries relating to falls, which are a leading cause of lost independence among seniors. The social interactions and other activities help to prevent cognitive decline, keeping the mind sharper for longer, and medication management eliminates the risks of losing independence because of mismanagement. Some ADHC programs even offer physical, speech and/or occupational therapies to aid in promoting independence. These programs also offer a way for older adults to stay in their homes for longer, getting the care they need during the day. #10. It improves well-being and all-around quality of life. With illness, cognitive impairments and physical limitations, quality of life as a whole can start to decline as you age, but it’s important to note that this is not a normal part of the aging process. And, as we’ve talked about in this blog a lot already, ADHC programs can address many of the issues that lead to a decline in quality of life for many older people living in the United States, including physical and cognitive decline, depression and social isolation. Let A Right Place for Seniors help you find the right ADHC program! ADHC programs are a little-known senior care option that can be advantageous in so many different ways. Let our Senior Living Consultants help you find the right program for your needs! Contact us today to get started.